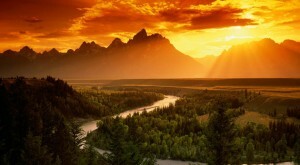 Jackson Hole, Wyoming is home to stunning beauty, diverse ecosystems and abundant wildlife. So unique is the area, it has been designated by the U.N. and the Department of Interior as a “World Heritage Site,” signifying its value and importance to the planet. Let’s Find Your Dream Home! We offer Real Estate Services in Jackson Hole Wyoming and Teton Valley Idaho. Century 21 Teton Valley knows the Teton Valley like on one else in the market.